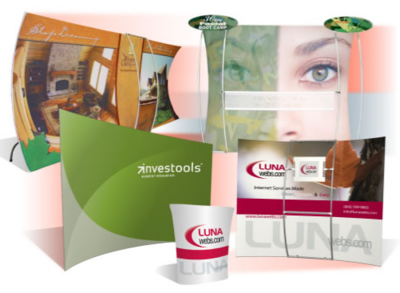 LunaWebs has partnered with the best trade show booth distributors in order to provide you high quality, yet affordable trade show and exhibit display packages. Make your next conference, seminar, workshop or expo an impacting event. First impressions can be the difference between someone stopping by your booth or going to your competitor. Let us help you design a tradeshow booth that will get the attention of attendees.